If you are looking for a top quality home inspection service in the Kansas City metro area, GeoInspections can help! 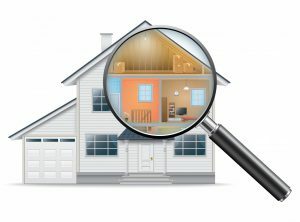 Having a Blue Springs home inspection completed is a key step in buying or selling a home, especially in a reputable and highly-valued Blue Springs, MO, neighborhood and should be done by a locally-based NACHI-Certified Home Inspector that serves Johnson County and the KC area. GeoInspections inspects houses, condos or town-homes (homes). The home inspection is a non-intrusive visual inspection of the house STRUCTURE inside and outside: ROOF, FOUNDATION; MECHANICAL INSPECTION, which includes the HEATING, AIR CONDITIONING; PLUMBING, ELECTRICAL, WINDOWS, DOORS, WALLS and all BUILT-IN APPLIANCES. This is a visual inspection by our home inspector that follows home inspection industry standard methods and procedures. We inspect areas that are visibly accessible and do so without damaging the house. In addition, GeoInspections touches every surface to get a hands-on feel to the status and competency of every item that is inspected. This home inspection does not include: Outbuildings, sheds, detached garages, swimming pools, hot tubs, appliances not-built-in (not permanently attached), walk-in refrigeration room equipment, security systems, alarms, or luxury items (e.g. intercoms, camera systems, built-in home theaters, and weather stations). Whether you live on the Kansas side or the Missouri side, GeoInspections has got you covered and will be proud to be your local Blue Springs home inspection service. We provide a variety of home inspections, including; mold inspections, termite inspections, foundation inspections, and radon inspections, all of which are important for protecting the investment of your home, and also in helping with the buying and selling process of your home. Don’t let a simple inspection service deter you from peace-of-mind or the selling of your home. Our Blue Springs team at GeoInspections is here to help. 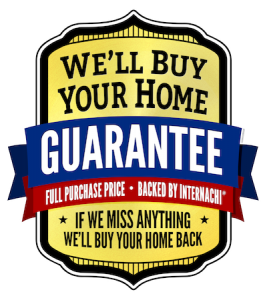 We are NACHI-Certified Home Inspectors and are locally-based in the Kansas City area. Want more details on any of our specific local home inspection services? Contact us below for more info on mold inspections, foundation inspections, termite inspections, pre-listing inspections, radon testing, and more! Call us today at 816-506-0905 to schedule your professional home inspection in Blue Springs, MO, by GeoInspections today and we look forward to helping you with the process of buying or selling your home.